The United States is resolute in our support for the security of European nations. 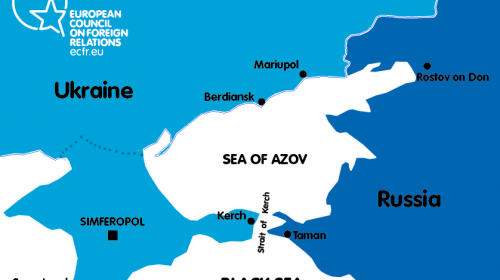 Who wants to go to war against Russia in defense of Ukraine over the Kerch Strait, which lies between the Black and Azov seas and between Russia’s Taman Peninsula and Russian-annexed Crimea? A show of hands, please. But careful: don’t misconstrue my question. I’m not asking who wants the “United States” to go to war. I’m asking, rather: who is personally willing to fight the Russian military over the strait? Or: who is willing to see his or her sons and daughters fight, kill, and die in that cause? Now, again, a show of hands, please. Anyone? No one? I didn’t think so. Who could blame you? Are Americans supposed to be eager to drop everything to go wherever the U.S. government decides they should go to kill and die in its Nineteen Eighty-Four-ish geopolitical games? And short of fighting personally, must they pay the economic price — the taxes surrendered and opportunities forgone — that is required to maintain a military establishment capable of playing those games throughout the world? What’s does individual freedom amount to if Americans are subject to a regime’s orders to enlist — one way or another — in whatever crusade that may catch the polite elite’s and commentariat’s fancy? Considering that Russia, like “us,” is a nuclear power, this is not hyperbole. American and Russian rulers, should they clash, wouldn’t have to intend to go nuclear. Accidents happen. Miscalculations born of bravado, brinkmanship, or mere uncertainty could not be ruled out. All those pundits and politicians who are egging Donald Trump on to face down Vladimir Putin in his conflict with Ukraine are playing recklessly with the lives of Americans and many others. It’s damn serious business, so they’d better stop and think about what they’re doing before it’s too late. True, in a week or two, we noninterventionists may look as though we overreacted to the Kerch Strait “crisis.” But who knows? Why take a chance? War would be a catastrophe, maybe the biggest the world has ever seen. I’d rather overreact now than regret not having said anything later. The U.S. government has no businesses policing relations between Ukraine and Russia. Even if that role were appropriate for some party, the U.S. government would not be the one because it hardly has clean hands in the matter. Since the 1990s after the peaceful fall of the Soviet Union, Democratic and Republican presidents have threatened Russia by moving the anti-Soviet NATO alliance — which at the latest, should have ended with the fall — right up to Russia’s border, contrary to late President George H. W. Bush’s assurances, by incorporating former Soviet allies and republics. Now, with the Kerch Strait incident, the illiberal, martial-law-imposing president of Ukraine, Petro Poroshenko, has done something that looks suspiciously like a provocation intended to shore up his sinking political fortunes and to keep the West agitated about the alleged Putin threat. (See Ted Galen Carpenter’s discussion “Ukraine Doesn’t Deserve America’s Blind Support.”) Poroshenko brazenly tried to send ships through the Kerch Strait without abiding by Russia’s declared procedures. As a result, ships were seized and some sailors injured. Did Poroshenko not know how Russia would react or did he want such a reaction? Regardless of the merits of Poroshenko’s claims and even assuming Putin is up to no good, we must ask why this is something Americans should have to sweat over. Russia has an economy and military far smaller than America’s. It is no threat to Americans who simply want to live their lives free of government impositions. It’s also not a threat to Europe. Putin did not try to annex eastern Ukraine when he annexed Crimea. For one thing, it would have been an economic burden that Russia was in no position to handle. But Russia, like the United States, has lots of hydrogen bombs. But that means the threat to Americans comes, not from Russia, but from the U.S. government, which is in a position to start a war with Putin. Therefore, Trump should tell the New McCarthyite warmongers to keep quiet. The foreign policy appropriate to a free society is noninternvention. These days, that’s more obvious than ever. 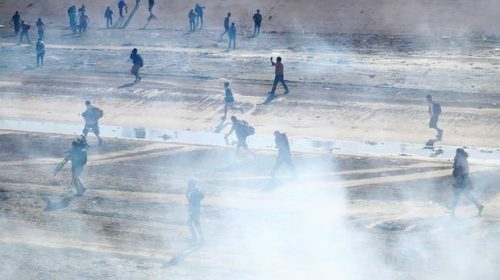 The Trump administration and its apologists are quick to point out that Barack Obama was as willing as Donald Trump himself to tear-gas desperate people trying to protect themselves by crossing America’s southern border. So he was, though many will refuse to believe it. Let’s not forget, after all, that Obama, like Trump, was willing to bomb men, women, and children in more than half a dozen Muslim countries. But that raises an interesting question: if every horrible thing Trump has done so far was also done by Obama, why do Trump and his fans hate the former White House occupant so much? They ought to be praising Obama, who set records for deporting people and prosecuting whistle-blowers. If a then-deferential media establishment did not play up Obama’s brutality, that hardly makes what Trump is doing acceptable. So yeah, Trump is not the first monster to occupy the White House, not by a long shot. That doesn’t mean he’s less a monster. I suppose Trump could say that at least he’s gassing intact families instead of separating parents from their kids before doing the disgusting deed. Frankly, I wondered how long it would be before Trump would turn on the gas. After all, lots of people are understandably fleeing terror states in Latin America — terror states the U.S. government helped to create beginning decades ago (including abominations by Secretary of State Hillary Clinton) — and Trump has staked his political life on “securing the border,” which somehow is supposed to make “American great again.” So he had to be ready to poison “invading” children and their parents to keep them from entering and … asking for asylum! I’m sure some people inside and outside the administration are silently chiding Trump for using too mild a gas. (“Tear gas is for losers.”) They must be wondering what some of Trump’s authoritarian buddies in other countries would have done. Remember, National Review thinks Trump is too wimpy on immigration because during the presidential campaign he said he’d put a reentry door in his big, beautiful wall. NR needn’t have worried: nowadays Trump openly supports cutting legal immigration. Trump probably wanted a confrontation because in his warped view it’s good for the country, not to mention to his ego and political fortunes. He can show what a tough guy he is, and that surely must impress some people. “The problem was that not enough people in America cared enough to understand why those Jews were fleeing, and from what they were fleeing in the first place. That is still the problem today. Radical Trumpists already are calling the weekend’s violence a successful repelling of a horde of ‘invaders,’ as though gassing shoeless toddlers was the equivalent of Charles Martel’s turning back the forces of the caliphate at Tours. That point of view will be taken immediately as the legitimate Other Side of the argument regarding using chemical weapons on impoverished children. We have no need to fear migration or refugees, but those who do fear them might start working to liquidate the American empire, for the chaos it has wreaked in Latin America, the Middle East, and Africa is one of the great instigators of mass migration. Beyond any reasonable doubt, in substance if not in appearance, Donald Trump is a thoroughly conventional American politician. It’s a wonder that anyone requires proof at this late date. This couldn’t be more clear in foreign policy. 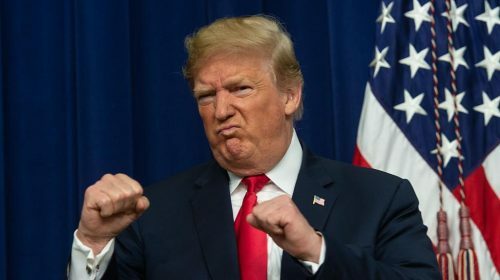 Some of us who understand the links among freedom, durable prosperity, and a noninterventionist foreign policy always doubted the sincerity of Trump’s occasional renegade soundbites during his presidential campaign. But some fantasists fell for them, and they refuse to let go of their tissue-thin hope that this execrable man will liquidate the American empire. Nothing will convince them, so efforts at persuasion are futile. Markers of his devotion to the empire include big boosts in military (please, not defense) spending; his doubling down on the endless Middle East wars; his insane withdrawal from the Intermediate-Range Nuclear Forces (INF) treaty, which Reagan and Gorbachev struck in a major step away from the Cold War; continued expansion of NATO (which he pretends to disdain), and his arming of the fascist-infested Ukrainian government. The latest exhibit in the case confirming Trump as a conventional American politician comes from the New York Times. It reported yesterday that the current White House occupant is doing what presidents have done at least since the onset of the Cold War: insisting that countries have no choice but to side with the United States or with one of its perceived enemies, in this case, China. “The rivalry, which has reached a new pitch and scope, is now centered on the trade war that President Trump started this year [which is actually a war on Americans],” the Times reported. “But tensions have also sharpened over a broad range of diplomatic and military issues, like Taiwan, the South China Sea and economic sanctions on North Korea and Iran. That China plays such games is not a good reason for the Trump administration to do so. The Chinese want to sell to us, not annihilate us. However, China’s moves are easily seen as responses to Trump’s aggressive measures in its neighborhood. For every pro-detente member of the administration, there seemingly are two members who think war with China is inevitable. For Trump, trade has nothing to do with individual freedom and prosperity. It’s just part of the arsenal with which to wage war against perceived rivals and reward friends. A charge of “unfair trade practices” is one of the first refuges of scoundrels. In 2016 and 2017 Al Jazeera produced a program that unmistakenly documents the Israel government and the U.S. Israel lobby’s all-out effort to spy on and smear American students and other activists who are working to build understanding of the Palestinians’ plight. The Lobby — USA, however, has never been broadcast by Al Jazeera. Reporting indicates that it was suppressed after pressure from the lobby on the government of Qatar, which funds Al Jazeera. Nevertheless, it is now available at The Electronic Intifada and on YouTube. Watch all four parts here and here. What the program presents is shocking. The Lobby — USA, which features an undercover journalist who won the trust of key pro-Israel operatives and who videoed revealing meetings, demonstrates beyond question the lengths to which the Israelis and their supporters in the United States will go to prevent a change in American thinking about the beleaguered Palestinians. The effort aims to smear Palestinian students in the United States and pro-Palestinian American activists and political candidates who criticize Israeli policy as anti-Semites and enablers of terrorism. 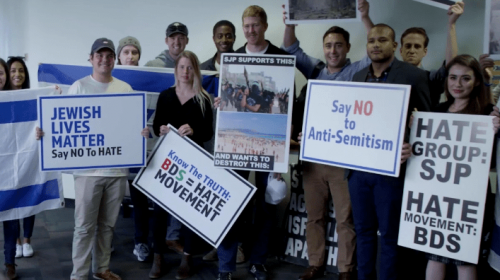 The paid pro-Israel operatives, guided by Israeli government officials and embassy staff, have used social media and other channels in an attempt to destroy the career potential of student activists who work to raise Americans’ consciousness about the Palestinians. Major targets are activists in the Boycott, Divestment, Sanctions (BDS) Movement. Al Jazeera produced a similar program about Israeli interference in British politics, which led to resignations of a key Israeli embassy official and other reactions that confirmed Al Jazeera’s damaging charges. I could not do justice to the program even in a long article. Instead, I will urge readers to watch it in its entirety — and think carefully about what it means. As one critic of Israel asks on the program, if Russia or Iran or China were doing what Israel and its American friends are doing, most people would be outraged. This is hardly the first time that Israel and friends have been caught covertly and overtly trying to influence discourse and even elections here through smear campaigns against activists, writers, and political candidates, but this is certainly among the most flagrant examples. Let’s step back from the poisonous trees for a moment to view the forest. In 1948 the leaders of a European and nominally Jewish movement, Zionism, unilaterally declared the existence of the State of Israel, which they proclaimed the nation-state of all Jews everywhere. It so happened this state was built on land taken by force from the long-standing majority indigenous Palestinian population, most of whom were Muslims and Christians. Hundreds were massacred, three-quarters of a million were driven from their homes, and the remainder were subjected to martial law for two decades, before being given third-class citizenship with no power to improve their legal status. Almost 20 years later, the rest of Palestine was taken through warfare, producing what are known as the occupied territories in the West Bank, with its apartheid-like regime and the Gaza Strip, which is nothing more than an open-air prison under Israeli blockade. Why? Because a “Jewish State” could not be realized if it were populated by non-Jews. And if some non-Jews remained, the state could not be a liberal democratic state for obvious reasons. All this was aided from the start by European Christians who, apparently guilt-ridden over how the Jews of Europe had been tyrannized, especially by the Nazis, opted to assuage their guilt with the land, blood, and liberty of the innocent people of Palestine, long the plaything of colonial powers. Since that time, Israel has repressed the Palestinians in a variety of ways, depending on whether they are in the state as it existed in 1949; the West Bank, which was seized during the June 1967 war; or the Gaza Strip (also called the Gaza Ghetto), also seized in that war. Meanwhile, millions of refugees — people (and descendants of people) driven from their homes by Zionism’s terrorist militias, have been confined to refugee camps, stateless, rightless, and destitute. At various time, Israel, with America’s backing, has cut deals with Arab states and Palestinian quislings for the purpose of keeping the Palestinians from winning their rights either in a single secular democratic state or through a two-state plan. Western political and media establishments have overwhelmingly sympathized with the Israelis and demonized the Palestinians (and Arabs and Muslims generally). It didn’t take long for the public to be propagandized, against all evidence, into believing that the Palestinians are the aggressors and the Israelis the victims. Apparently, someone is anti-Semitic if one objects to having his property stolen by someone who claims that property in the name of the Jewish People. But after so many decades of Israeli wars, massacres, repression, and routine brutal dehumanization, the tide has started to turn. Israel pulverized Gaza and its people one too many times; it shot and broke the bones of too many children before too many video cameras. And so public opinion, especially among younger Americans — and particularly among younger Jewish Americans, has been turning against Israel. Then the BDS Movement arose to accomplish what a similar movement help to accomplish against apartheid South Africa: bringing world attention to an intolerable situation and take concrete steps to change it. But it goes beyond that. The Israel lobby realizes that the anti-Semitism charge no long sticks so tenaciously to people who merely indict Israel for its obvious mistreatment of the Palestinians. So the lobby has resorted to a broader brush: it says that those who support BDS and the Palestinians are anti-American, anti-democracy, and anti-all-blessed-things. BDS and Students for Justice in Palestinian, the lobby contends, are hate groups. This of course is patently absurd, but Israel’s side observes no limits it what it is willing to say and perhaps do to destroy the reputations anyone who realizes that the Israeli emperor has clothes. Al Jazeera, the Electronic Intifada, Max Blumenthal’s The Gray Zone Project, and others have performed a much-needed service on behalf of freedom, justice, and decency. I urge you to watch this program and spread the word. There’s always plenty for libertarians to complain about in our troubled world, but in many respects, things could be much worse. I’m thinking particularly of how the U.S. government punished dissent before, during, and even after America’s participation in World War I. Although it will be a few years before we observe the centenary of Woodrow Wilson’s idiotic decision in 1917 to plunge the country into the Great War, this seems like as good a time as any to review his administration’s, Congress’s, and the courts’ shameful conduct. Wilson of course was reelected president in 1916 after a campaign that reminded voters, “He kept us out of war.” But as Kennedy tells it, most of the public did not need to be dragged into war. (Germany’s resumption of submarine warfare must have had something to do with this.) Resistance did not appear widespread, and efforts to suppress dissent (and activities having nothing to do with dissent) were more virulent at the grassroots level than in Washington. At some point, American nativism kicked in with a vengeance, and the prowar fever was easily exploited to turn up the heat on immigrants and workers. The propaganda campaign was remarkable, the repression more so, as though the policymakers feared that a little dissent could turn the whole country antiwar. “Woe be to the man or group of men that seeks to stand in our way.” That was Wilson’s warning to the war opponents two months after he asked an obliging Congress for a declaration of war on Germany. “They had no small idea, as yet, just how much woe was to befall them,” Kennedy writes. It was in the preparation for war and during the war itself that the notion of “100 percent Americanism” was forged, Kennedy adds, and most people were suspicious of anyone who seemed less than 100 percent American. He had all his life been a moralizing evangelist who longed with a religious fervor to sway the public mind with the power of his person and his rhetoric. The war furnished him with a wider stage for the ultimate performance of the act he had long been perfecting.… He subverted the more or less orderly processes of politics by stirring and heating the volatile cauldron of public opinion. Therein lay both his great political genius and a major source of his eventual downfall. some of those persons of sensitive conscience would indeed find the passage from neutrality to war impossible to negotiate. 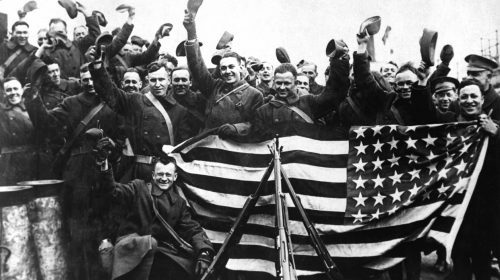 The steadfast pacifists — like those who held to the original anti-war principles of the American Union Against Militarism — increasingly found themselves isolated in a wilderness of opposition from which nearly all their countrymen had fled by the end of 1917. Washington’s efforts to disseminate a particular view of the war — democracy versus German authoritarianism — reached into the schools, and local school officials obliged by stepping up the effort, for example, by outlawing the teaching of German. “Ninety percent of all the men and women who teach the German language are traitors,” Kennedy quotes one Iowa politician as saying. By executive order, Wilson created the innocuously named Committee on Public Information, a propaganda mill headed by Progressive muckraking journalist George Creel. Kennedy portrays Creel as a man who believed that the American way of shaping opinion “shunned coercion and censorship.” But apparently not everyone agreed. Kennedy finds parallels between the American propaganda effort and themes found in George Orwell’s 1984. The American experience in World War I … darkly adumbrated the themes Orwell was to put at the center of his futuristic fantasy: overbearing concern for “correct” opinion, for expression, for language itself, and the creation of an enormous propaganda apparatus to nurture the desired state of mind and excoriate all dissenters. That American propaganda frequently wore a benign face, and that its creators genuinely believed it to be in the service of an altruistic cause, should not obscure these important facts. At the grassroots level, vigilantism — including lynching — was not uncommon and too often was more or less countenanced by people in power and prominent members of the of legal community, including a future U.S. attorney general, Charles Bonaparte. The Justice Department under Attorney General Thomas Gregory encouraged citizen surveillance through its link to the American Protective League, “a group of amateur sleuths and loyalty enforcers,” in Kennedy’s description. Said Gregory, “I have today several hundred thousand private citizens — some individuals, most of them as members of patriotic bodies, engaged in … assisting the heavily overworked Federal authorities in keeping an eye on disloyal individuals and making reports on disloyal utterances.” Kennedy says that by the end of the war, the APL had 250,000 members. This was also the period in which the United States got the Espionage Act and amendments known as the Sedition Act. Under the authority of the Espionage Act, Postmaster General Albert Sidney Burleson banned publications from the mail or stripped them of their second-class mailing permits for even suggesting that Wall Street or the arms industry controlled the government. Criticizing the government was regarded as aiding the enemy. Wilson, Kennedy writes, meekly and privately objected to the heavy-handedness of his underlings on occasion but never did anything about it. His true feelings were revealed after the war, when he advocated a new sedition act to take the place of the soon-to-expire wartime amendment. An antiwar speech could get you indicted, tried, and sent to prison. Socialist leader Eugene V. Debs went to prison for delivering a speech against the war, although he did not call on young men to defy conscription. When District Judge Learned Hand ordered Postmaster General Burleson to stop closing the mails to dissenting magazines, an appeals court overturned the order and the Supreme Court let the appellate decision stand. In 1919 the high court heard three cases brought under the Espionage Act. In one, Justice Oliver Wendell Holmes Jr. declared that in wartime, speech or written work that is “such a hindrance” to the government’s effort may be prohibited. Holmes also sustained Debs’s conviction, writing ominously, “if a part of the manifest intent of the more general utterances was to encourage those present to obstruct the recruiting service … the immunity of the general theme may not be enough to protect the speech.” Kennedy found only one case in which Holmes, in dissent, used the “clear and present danger” test to oppose a conviction. Holmes, strangely, has a reputation as a great civil libertarian. One perceptive observer was not fooled; H.L. Mencken demolished the renowned jurist in a 1930 book review that reminded readers of Holmes’s wartime opinions. We are indeed fortunate that speakers, writers, and publishers who today communicate antiwar messages are no longer treated as they were during World War I. That they were not so treated after the 9/11 attacks — considering the other appalling policies and practices the Bush administration engaged in — we might chalk up to the devout respect for freedom of speech and press that is nurtured by hardworking organizations and civil libertarians dedicated to protecting those freedoms. Kennedy ends his chapter on a note that today’s progressives ought to heed. Eastern Progressives supported Wilson’s war hoping it would advance reform while avoiding the domestic excesses that war can produce. They miscalculated, however. Dewey was wrong. Bourne was right. The devotees of Barack Obama, who has prosecuted more whistleblowers under the same Espionage Act than all previous presidents combined, still have not learned their lesson. Last Tuesday, special day that it was, I awoke early and prepared to go out. By 7am, I was where I always go on this special day, eager to do my duty and exercise my sacred right to choose. Entering the warm, brightly lit building, I was greeted by friendly folks who make me feel welcome. Not many others were there yet. I got down business and made quick work of it. Systematically, I scanned my alternatives in the various categories, now and then consulting the list on my mobile phone that I had earlier drawn up so I wouldn’t forget my game plan. Everything was just as I expected it to be, and so I executed my plan flawlessly. I made my picks and bypassed those that I saw no need for. My choices made, I left content, confident I had achieved everything I had set out to achieve. To be more precise: in each case, my choices counted; no, better: they were decisive. In other words, I got everything I wanted — on the spot. Obviously, I was not at the polling place on Tuesday, which I hear was Election Day. I was at the supermarket. But I didn’t lie. Tuesdays are special: it’s the day my supermarket discounts all items for those they call “seniors.” The discount more than offsets the sales tax. That makes it a special day, though, alas, the state still takes it illicit cut. The tip-off that I had not been at the polling place should have been my statement, “I got everything I wanted — on the spot.” This cannot happen at the polling place. There, my choices would have been limited to two or three or possibly four candidates, but only two had any real chance of winning since one of the dogmas of our civic religion is that any “third party” is somehow suspect. True, the supermarket must limit the selection; shelf space is limited. But I usually see more than four choices in most categories, and store owners have a continuing incentive to expand their stocks to please their customers, who, unlike taxpayers, can say, “No thank you.” And I can always go someplace else where the stock is more to my liking. Yet I can go to only one polling place, which doesn’t matter because every polling place has the same limited stock — like the stores in the old Soviet Union. Also at the polling place, no one’s choice is decisive; for many people, that’s a feature, but it looks like a bug to me. Unlike at the supermarket, what you see isn’t necessarily what you get. At the supermarket, if I want bacon rather than sausage, I get bacon every time. But my preferring candidate Jones to candidate Smith for dog catcher does not mean I will get Jones. Sure, you make your “free” choice among the vetted candidates, but you don’t know what you’ll get until all the votes are counted. Despite that other constantly repeated dogma, your vote doesn’t really count. In nearly all cases, the chance of a tie is only insignificantly greater than zero. What matters is how a whole lot of other people voted, and what they do on election day has nothing to do with what I do. I have not lived through a single election the outcome of which would have differed had I done something other than what I actually did on that day. Last Tuesday was no different. 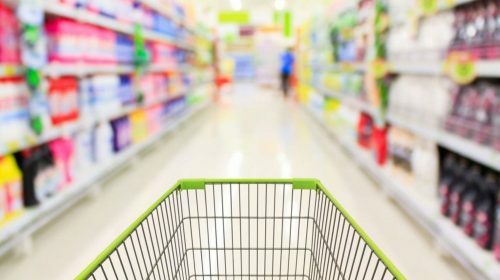 Since my “votes” are decisive in the supermarket, I have a natural incentive to think carefully about what I want, although, within limits, if I make a mistake, I can exchange what I choose for something else or even get my money back. Try that in an election. Candidates may say they favor this rather than that, but they might only be saying what they think the voters want to hear. What the winners end up doing could markedly diverge from what they promised to do or undo, but even in the most flagrant instances, you can’t get your vote (or money) back. Another thing that gives me an incentive to choose with great care what I buy is that, for the most part, I will not only reap the benefits but also bear the costs of my own choices. That has a way of concentrating the mind. In an election, even under the best of circumstances, only a sliver of the costs will fall on any particular individual, although the total costs could be immense. Worse, most individuals probably won’t realize that the costs are attributable to what the victors have done. Tracing the consequences of much of what officeholders do requires at least a basic understanding of how markets and the price system work. Few understand economics. In light of this, most people do no serious research about candidates. Candidates know this and exploit it to the hilt. That’s why election campaigns look more like theater — bad theater — than markets. The candidates seek to create atmospheres in hopes of emotionally motivating enough people to go to the polls and vote for them. Top among the emotions aimed at is fear, which makes for a proliferation of bogeymen (such as immigrant invaders and foreign manufacturers). Now I know that the standard response here is that what we buy at the supermarket or bookshop or even the insurance agency and doctor’s office is not like the things that elections are concerned with, that is, those things known as indivisible and nonexcludable public goods. Fair enough — except that 1) government does lots of things that bear no resemblance whatever to classic public goods and 2) a voluminous historical and theoretical literature exists documenting that public services, including security and conflict resolution (assuming they really are public goods), have at one time or another been provided in what look awfully like … marketplaces. As for elections, I’d rather spend my time doing things that are likely to benefit myself and those I care about. Practicing rituals designed to make the predator state look like a saintly government of, by, and for the people is not among them.